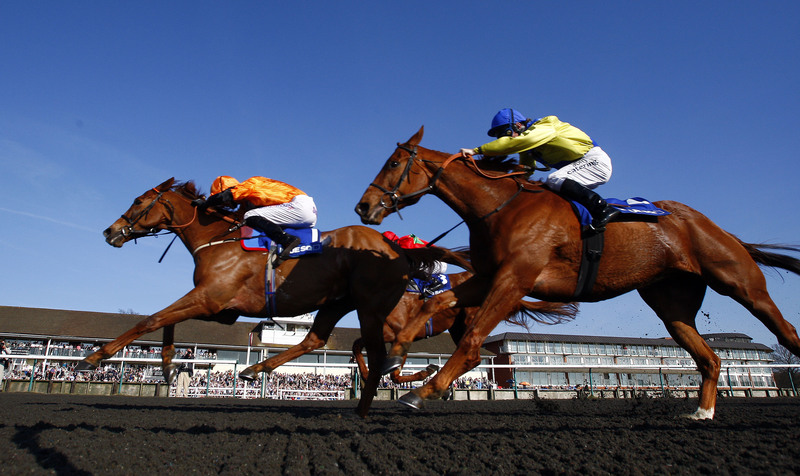 Considered the highlight of the all-weather season and officially the first Group race of the British flat racing season, the Blue Square Winter Derby rolls around this weekend at Lingfield Park. This year’s race boasts a strong field, with the winner and the runner up of the last edition of the race being re-entered. Run over 1 mile and 2 furlongs, and for horses four years old and up, on the Lingfield polytrack surface, the purse for this Group 3 amounts to a solid GBP 100,000. Despite Blue Square being the title sponsor for the race, we advise you to place your bets on this race on Bet365.com, the best racebook there is, and where the odds listed below are taken from. Bet365.com is also offering each-way betting on the Winter Derby, with which you will be paid out at 1/4 should your selection place in positions one through three. No horse has ever won this race more than once, but last year’s winner, Premio Loco, is in with a chance to take the honours again, as the 6/1 odds offered reflect. But the horse, now nine years old and perhaps a little fortunate to win last year’s renewal, will face some stiff opposition. Not least from the horse he beat in this same race last year, Cai Shen. Cai Shen was considered to be unlucky to lose out last year, but has steadily improved since then, and runs very well when fresh. Cai Shen is a decent pick, but this is his first race of the year, after a disappointing sixth place finish in the 2012 Conditions Stake on his last run. Topping the early odds is Farraaj, who is a relatively short favourite at 5/2. His last race was in the 2012 Churchill Sakes, which he won, and a strong start to his 2013 season is being tipped quite strongly. The trend book for this race indicates that two-joint favourites and two clear favourites have won this race in the last ten years. Also getting some talk is Miblish, whose trainer, CE Brittain, has trained two winners in the last ten years. Miblish placed second in the Winter Derby Trial not too long ago and Brittain will like his chances of bringing up the treble come Saturday. Red Cadeaux, winner of the Group 1 Hong Kong Vase last year, is also in contention, even though perhaps he is used to shorter distances, as is Viking Storm. The race takes place on Saturday at 16:30 CET/ 11:30 EST. As we stated above, the best place to have a bet on the 2013 Blue Square Winter Derby is at Bet365.com. When visiting Bet365.com, click ‘Horse Racing’ in the left sidebar and scroll down to the Antepost section of the page, where you will find all the markets for this race. First run in 1998, the Winter Derby is a Group 3 flat horse race open to horse aged four and up. 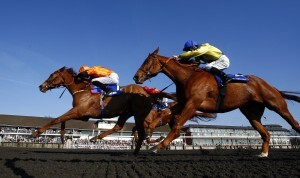 It is run on the polytrack surface at Lingfield over 1 mile and 2 furlongs. It is only one of three non-turf Group races in Britain and is the currently the country’s first Group race of the year. Have a look here for further information on the race.